How long will Nigerian government sustain the distraction which its stiff-necked disposition on the refusal to conduct referendum for Biafra is causing her in her day to day running of government business? Nigerian government should answer this question alone. Is it not time for Nigeria government to organize referendum for Biafra and have rest in order to give the remaining parts of Nigeria dividends of governance? This is a seasoned advice to Nigeria government as it is at the moment facing global diplomatic crossroad over Biafra agitation. 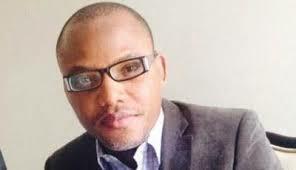 As it is at the moment, the Indigenous People of Biafra (IPOB) worldwide under the Supreme command of Mazi Nnamdi Kanu has dragged Nigerian government to African Commission to seek a redress on the danger inherent in the obnoxious designation of IPOB members as terrorist organization when IPOB has not committed any crime in the eye of both local and international laws. Do not also forget that IPOB which is the indigenous people of the territory called Biafra under heaven located at the trigger part of Africa which is a geographical location near the gulf of Guinea of Atlantic Ocean, has also sued Nigeria government in the Nigerian Federal High Court presided over by Hon Justice Abdul Kafarati as to challenge why Nigeria government should designate the entire people of Biafra with population of over 70 million as terrorists when the people has not attacked anybody, any government, any institution or any organization. It is on this ground that it becomes necessary that those who have the interest of Nigeria at heart should advice the government of Nigeria to release all prisoners of conscience from Biafra across all the prisons in Nigeria and conduct Biafra referendum without further delay. As IPOB leadership has dragged Nigeria government to African Commission, let it be known to those politically correct Nigerians that further national disgrace and embarrassment awaits Nigeria government before the world over Biafra question. This is because it has become obvious to the world that Nigerian government has no genuine case or argument with which to meet IPOB in court within and outside Nigeria or even at African Commission as regards to the illegal designation of IPOB as terrorists in particular and demand for Biafra restoration in general. All these realities are reasons why reasonable Nigerians should completely mount pressure on the government to allow Biafra go peacefully through referendum so that the government can concentrate on governance business and avoid further national disgrace to the remnants of Nigeria. It will be foolishness for Nigeria government to believe that it will also intimidate African Commission as it intimidated ECOWAS court because ECOWAS court is domiciled in Abuja, Nigeria while African Commission Head Quarters is in Banjul of The Gambia. As it obvious that Nigerian government has lost argument and has no case against IPOB that warrants a terrorist tag on the peaceful people, is Nigerian government also ready to treat African Commission with contempt as it has been treating ECOWAS court with contempt? Your guess is as good as mine. 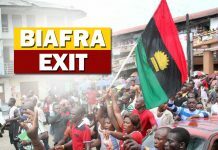 If Nigeria government is not ready to extend its executive lawlessness of contempt to the African Commission, let Nigeria government courageously go ahead and organize Biafra referendum because any attempt to treat African Commission with contempt as it treated lilly-livered ECOWAS and her court will result in stiff sanction from international community on Nigeria as a country. Nigerian government should not continue to batter her diplomatic image before international community because of Biafra agitation. Let Nigeria conduct Biafra referendum and have peace. 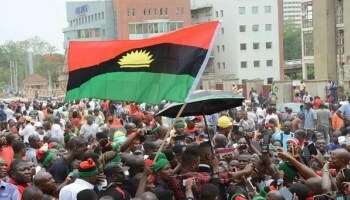 Nigerian government has defiantly chosen undemocratic process in handling the case of Biafra restoration struggle and that is why Nigerian government continued being monumental disgrace to Nigerians before the world because should Nigeria government conduct Biafra referendum today, the issue of Biafra agitation will be settled peacefully once and for all. The ball is now in the court of Nigerian government to withdraw all undemocratic process already initiated against Biafra agitation such as reckless military crackdown so that peace will reign again in the world. We are now crossing our fingers and waiting for Nigeria government will do the needful. I rest my case!